Leon Hendrix in Person at Small World Books Tomorrow! - Yo! Venice! Home Venice Beach Art Leon Hendrix in Person at Small World Books Tomorrow! Leon Hendrix in Person at Small World Books Tomorrow! 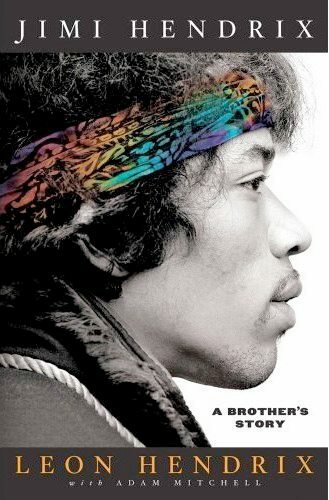 Leon Hendrix, the younger brother of music legend Jimi Hendrix, will be appearing at Venice Beach’s own Small World Books tomorrow evening from 6-8pm to sign copies of his book “Jimi Hendrix: A Brother’s Story“. I have had the pleasure of speaking with Leon before, this signing is not to be missed! Six years Leon’s elder, Jimi was often responsible for his baby brother and looked after him during a childhood racked with poverty and neglect. In 1968 Leon joined his brother Jimi for several tour dates beginning here at Los Angeles. After Jimi’s death in 1970 Leon served time in prison, fathered six children, battled drug addiction, and later lost a legal battle against his adopted step sister who successfully absconded with the entire Hendrix legacy and it’s millions. Presently, Leon is a touring musician based in Los Angeles. Free parking at Market and Speedway!